In this episode we learn about the origins of Julian aka Alchemy one of the big adversaries in Season 3. We learn a younger Julian found the philosophers stone and let the power loose. But when I saw him open the box that contained it, the shock on his face was laughable..
Its xmas celebration mood at Star labs, but could you really be in an xmas celebration mood if the baddest evil speedster was trying to kill you? Barry travels to Earth 3 to meet older Flash to seek his help. Earth 3 Flash is older and more wise who seems to know alot about Savitar. Barry learns Savitar is preparing for an epic battle with him as he feels his power is threatened. Wally West is being trained by Harrison Wells and is faster than Barry Allen, but being fast doesnt make him a better speedster. Cisco is missing his brother during the christmas period and is seeing his presence, however could it something more sinister than just visions. Could it be another side effect of Flashpoint? The two Flashes decide to take on Alchemy but Savitar turns up. Earth 3 Flash says he will handle Savitar while Barry stops alchemy. But LOL Flash is no match for Savitar. 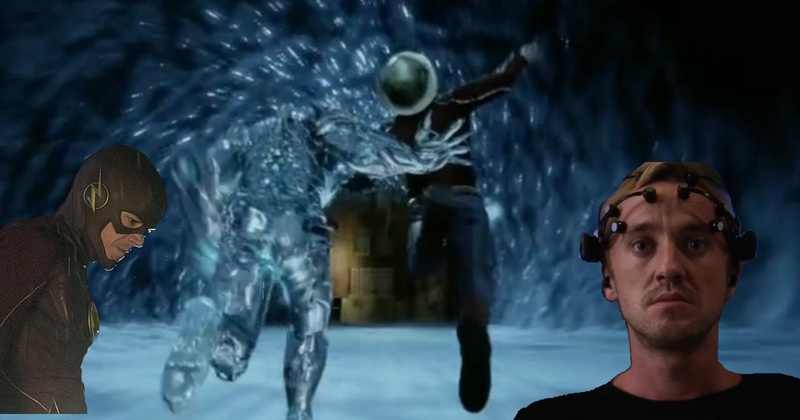 Savitar is a speedster but his way of fighting is different to say Zoom, its interdimensional, he grips Flash and throws him around while teleporting at high speeds, Flash is flung around banging into walls all over the place. We can clearly say Savitar is the most powerful speedster Flash has encountered. With Team Flash on the losing side in this season surely they would think that training Wally up and having a new ally is better than trying to hold him back and stopping his training. Cisco is tricked into opening the box that brings Savitar out who beats up Flash. Wally runs to the rescue who also gets beaten up. Caitlin saves the day by getting Cisco to close the box. Julian is used to speak to Savitar by hooking him up to the box with the stone. The stone seems to be linked to all the bad events that have happened. So they decide to get rid of it by throwing it into the speedforce. But all does not go to plan as Barry sees the future and it is not something he will like. Savitar still exists in the future…but how? With Flash seeing being killed in the future he realises that he must make the most of the time he has with her in the present but does doing this actually help or lead to the event that he saw?